We’re all told growing up that we should be seeing the dentist twice a year, and that message continues well into our adulthood. Every time we visit our dental care professional he or his hygienist either performs or schedules a thorough and in-depth cleaning for our teeth. The question is if we’ve been diligently cleaning our teeth all year, why do we need this special cleaning? Isn’t what we do at home enough? More happens during a cleaning than meets the eye, and we’re going to explain how they can help you in this handy article. During the 30 minutes to an hour that you spend in the dental chair getting your teeth cleaned, there’s a low more going on than meets the eye. Sure your dentist is getting into those nooks and crannies that are almost impossible to clean at home (like below your gum line), but they’re also doing a full assessment of the state of your oral health. Some of the observations they make can literally save your life, while others ensure that nothing slips by your cleaning at home. Tartar Removal – All the brushing in the world isn’t going to get rid of all the plaque in your mouth, and the minuscule amounts that remain can begin to mineralize and form a hard coating known as tartar. Your dentist uses a special tool called a scaler to get rid of this stuff before it can build up. Fluoride Treatment – While there’s fluoride in our water and fluoride in our toothpaste, these amounts are more to help prevent the advancement of dental issues. The treatment received in the dental office is a more intense treatment meant to secure your teeth for the year ahead. 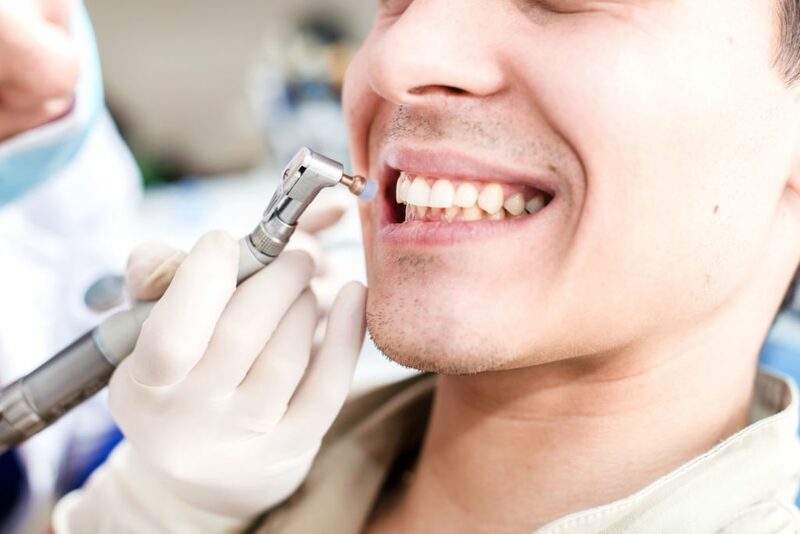 Polishing Your Teeth – This procedure may sound strange but it’s actually an important part of preventing plaque and tartar from building up. By smoothing the surface of your teeth the dentist removes places that these substances can hide. Brushing is far more effective following a polish. Screening for Oral Cancer – While easily treatable if caught early oral cancer often goes undiscovered and untreated in those who don’t receive regular dental care. Your dentist and hygienist are looking for signs of it while they work hard cleaning your teeth. Oral Hygiene Education – If there’s anywhere you’re missing during your normal daily clean then your hygienist and dentist will be able to point it out. They can also describe additional techniques you can use to improve your dental hygiene all around. As you can see there’s far more involved in cleaning your teeth than just getting rid of tartar and plaque. While your dentist is cleaning your teeth they are also looking out for your future dental health and ensuring that everything is as it should be. Magnolia Dental is located in Covington, LA and has been helping their patients live long and healthy lives with great dental health under the guidance of Dr. Ross Quartano. Next Post: What are Zirconia Crowns?